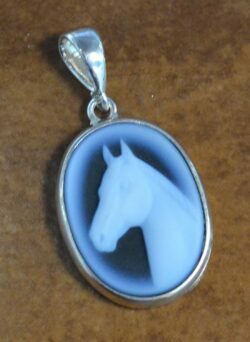 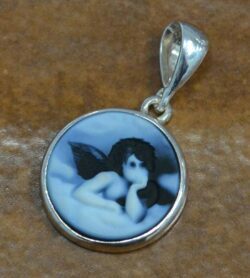 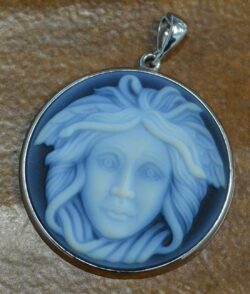 Handcrafted cameo jewelry from Glassando includes blue cameo jewelry, red cameo jewelry, agate cameo jewelry, resin cameo jewelry, cameo pendants, and cameo rings! 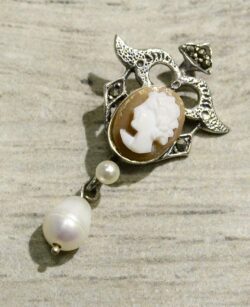 These pieces are all hand-carved and have a gorgeous, vintage look. 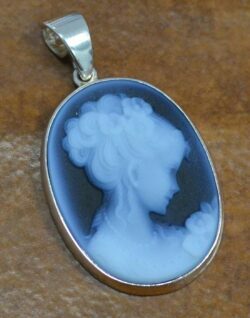 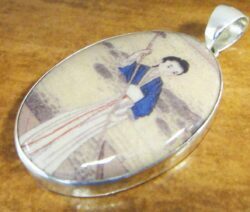 Our selection includes classic woman’s profile cameos, as well as other fun designs, including flower cameos and animal cameos. 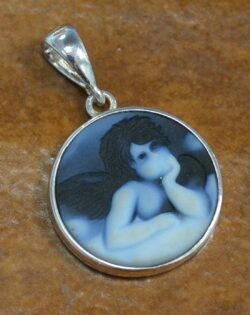 Our artisan cameo jewelry is all handmade and includes a wide variety of agate cameos, resin cameos, cameos set in sterling silver, cameo pendants, and cameo rings! 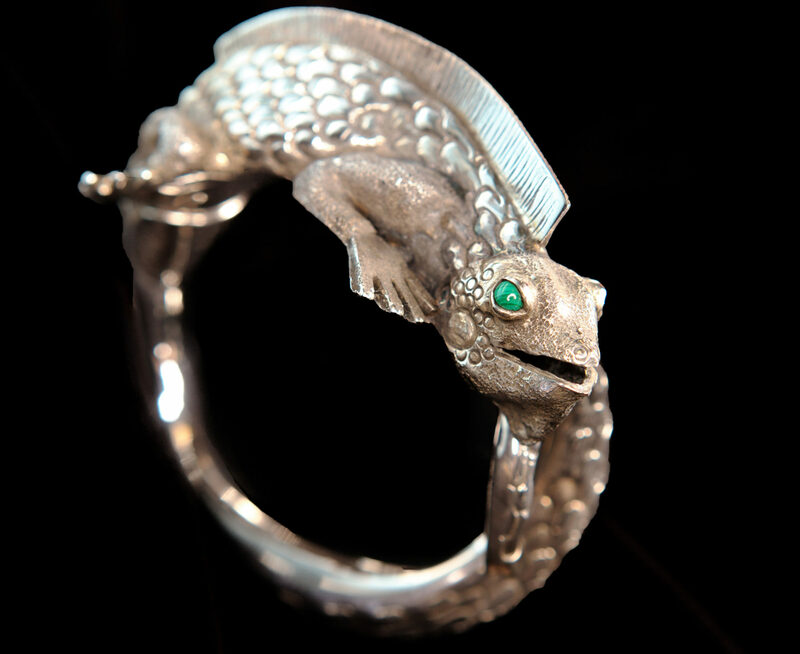 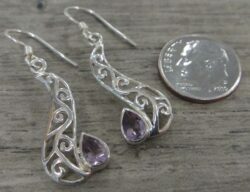 They are perfect for anyone who loves delicate jewelry, vintage-looking jewelry, or carved stone jewelry. 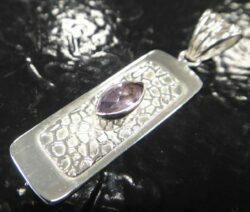 In addition to shopping on our website, you can stop into our boutique jewelry store in downtown Iowa City to view our selection of handmade pendants, necklaces, bracelets, earrings, and rings. 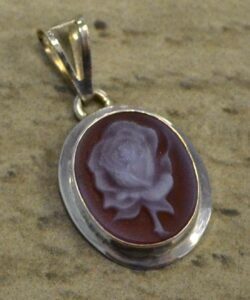 Our locally owned store showcases lots of artisan jewelry and can be found inside the Old Capitol Mall. 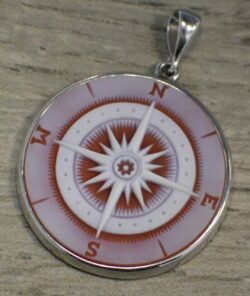 This mall can also be called the Old Capitol Town Center or the University Capitol Center. 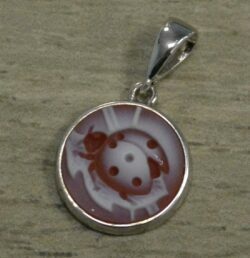 Parking is available in the attached Capitol Street Parking Ramp, which provides your first hour of parking at no charge! 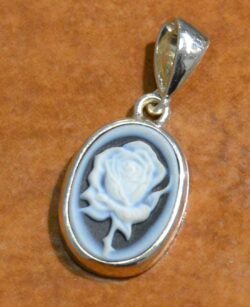 Please be aware that Glassando has no outside entrance, but can be accessed on the first floor of the mall. 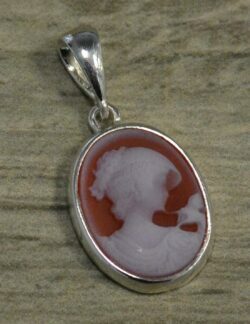 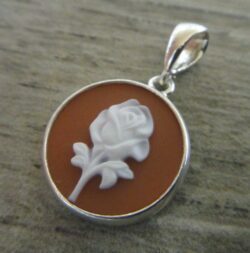 We are happy to help you find the perfect piece of cameo jewelry!